With the stock market on a tear, with both the Dow Jones industrial average and S&P 500 index trading at record levels, some investors might be looking for a way to get in. The homebuilders might be the best "catch-up" group out there, as residential construction industry stocks have largely lagged the broader stock market, CNBC's Jim Cramer said Monday. "The mortgage applications are good. The re-fis are better, but I think what's really mattered to this group is people are desperate for something that hasn't gone up," he said on " Squawk on the Street ." "People are looking for something to hold onto, and I think the homebuilders make sense." 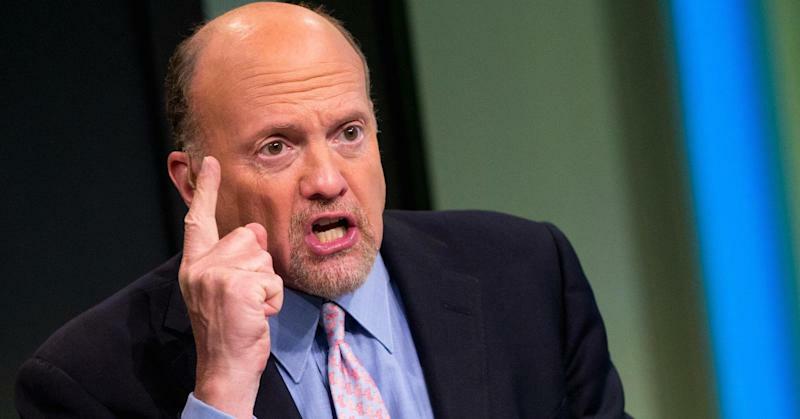 Cramer's comments came after Toll Brothers on Monday announced preliminary fiscal fourth-quarter revenue of $1.35 billion dollars. The homebuilder will release earnings on Dec. 10. Though Cramer thinks Toll Brothers (TOL) is probably the least expensive homebuilder stock right now, he actually prefers rival DR Horton (DHI), which reports earnings on Tuesday. DISCLOSURE: When this story was published, Cramer's charitable trust did not own DR Horton or Toll Brothers.